Will Judy's lucky penny lead her to the nation's capital or to third-grade C-A-L-A-M-I-T-Y? And what do her spelling-bee nemesis and a pot-bellied pig have to do with it? The lucky penny in Judy Moody's pocket sure does seem to be working. She can't stop winning-at bowling, spelling, the unbeatable Prize Claw, everything! For sure and absolute positive, she'll ride that wave of good fortune all the way to Washington, D.C. Watch out, District of Cool, here comes Judy Moody, the luckiest kid ever, until ... oh, no! Her lucky penny just did a belly flop into a porcelain bowl of yucky, blucky UN-luck. Has the coin's magic gone kerflooey? Are some people, like Jessica Finch or Stink, destined to have all the luck, while she, Judy Moody, gets stuck with a yard full of three-not-four-leaf clovers, a squealing pot-bellied pig in an elevator, and a squashed penny with cooties? ROAR! 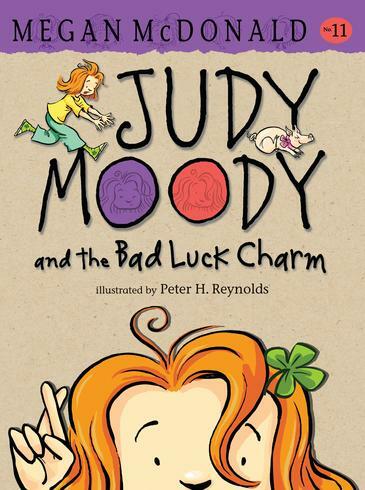 The ever popular Judy Moody is back, and this book is all about luck. Is there such a thing as a lucky penny? Or do we create our own luck? You will have to find out. Judy Moody is the proud owner of a lucky penny, stamped with a four leafed clover inside a horseshoe, with the words My Lucky Penny on it! The first bit of proof that the penny really is lucky, is her success on the ‘claw machine’. This part of the story really tickled me because I remember many a spare dollar (or 2) spent on it my youth, although we call them Skill Testers her is Oz. Her luck continues at the Xtreme Bowling Challenge and with Spelling B Practise at school, but the unthinkable happens, and her lucky penny gets dropped in the toilet. Not wanting to give up on her luck, Judy fished the coin out with her bare hands, but the penny doesn’t seem so lucky anymore. The Moody’s would have to be one of the most patriotic families in America, both Judy and Stink have a fascination with ex presidents and all things Washington DC. When her lucky streak ended, so ended Judy’s chance to go to Washington for the National Spelling B. When Judy’s friend Jessica Finch asks if Judy would come to DC to look after her pet pig, Pee Gee, the Moody’s jump at the chance to head to the nations capital. The sightseeing is great, but in true Judy Moody style, things don’t go quit so smoothly on the ‘pig sitting’ front. The popularity of Judy Moody does not seem to have diminished, even in hardback, this book has flown off the shelves. I have also noticed that while the books are great for newly independent readers, older girls who started reading them when they were 7 or 8, still want to read the new ones, because they just love the character. 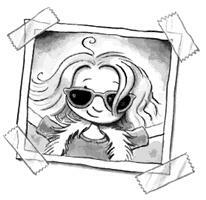 Of course a character like Judy Moody should have her own website, so click on the pic below to visit it.